MANILA, PHILIPPINES – Fashion runways all over the world are looking to the past for style inspirations; from the soft mellow palettes, to vintage vacation themes, modern retro revival is abuzz. For Spring Summer 2015, Giordano Philippines offers a classic spin to vintage luxe with its new campaign, Retro Summer. 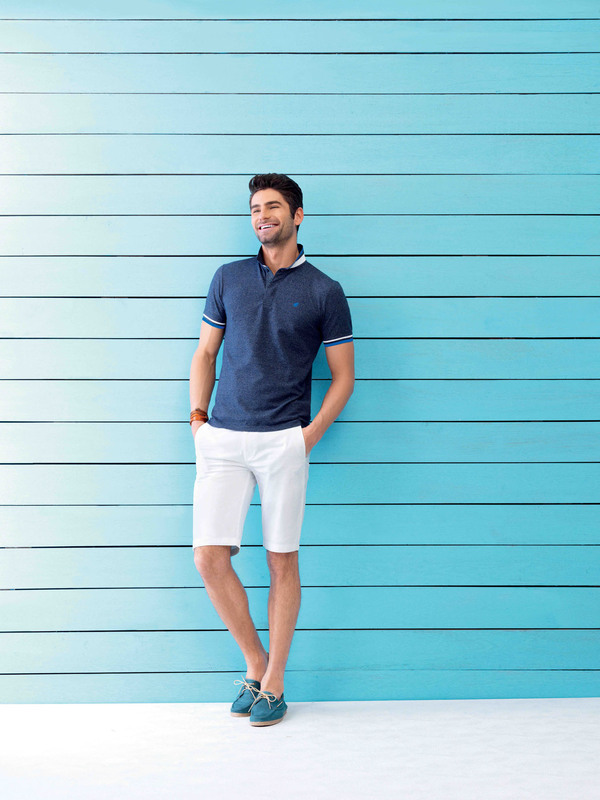 Like a classy trip to 60’s Riviera, where casual chic is a timeless piece, Giordano’s new collection offers classic silhouettes like long sleeve shirts and shorts, in nature’s soft hues. 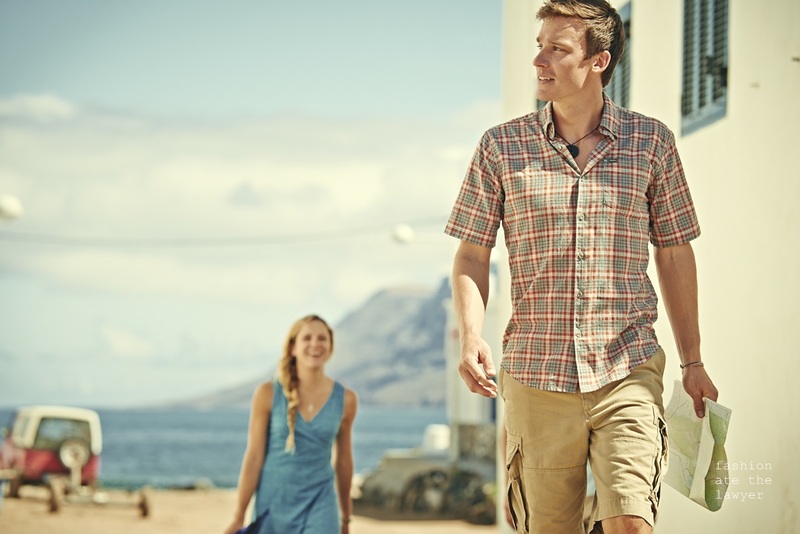 Linen, the campaign’s key material offers breathability and comfort for the hot humid weather. Tees and polo in easy-to-wear fits are also available in mélange and slub fabrications to compliment linen and complete the vintage textured feel. Staple polo such as the Frog polo, the Lion Badge polo and the Union Jack polo are still available in store as well as old time favorite’s basic crew neck tees, denim jeans, and chinos –all perfect for building a fail-proof capsule wardrobe. Giordano’s Retro Summer collection will be available February in all Giordano stores and outlets nationwide. For more information about the collection and all things Giordano, log in to http://www.facebook.com/GiordanoPhilippines. MANILA, PHILIPPINES – While most argue that style is innate, others contend that it can be cultivated. One way to build true style is by investing in classic pieces – the building blocks of any wardrobe. 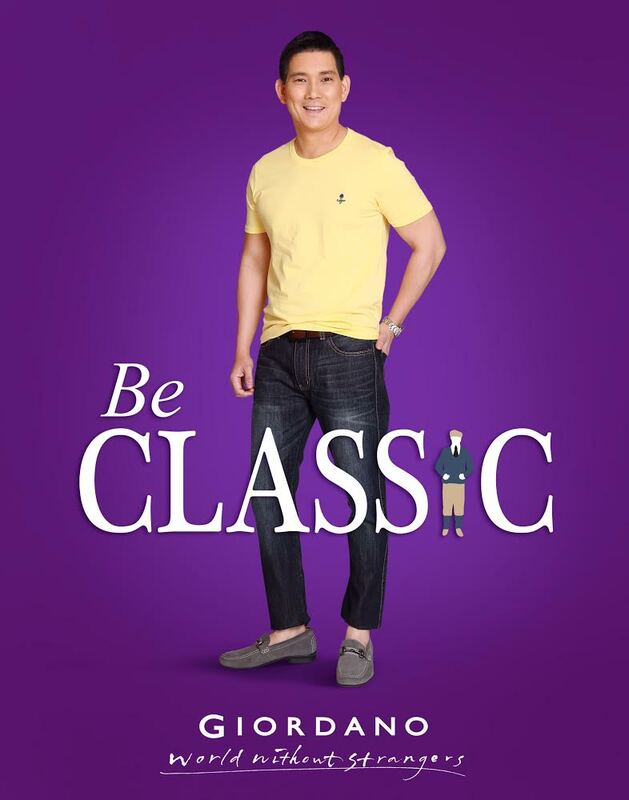 Giordano Philippines, a brand known for its modern approach to high quality timeless clothes, launches the Be Classic campaign which reintroduces time-tested stylish pieces that can be dressed up or down. 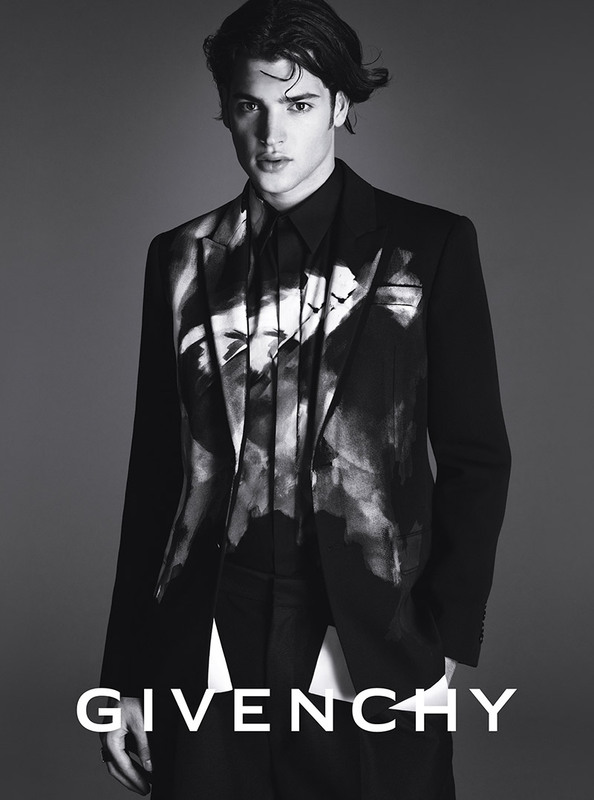 This also comes with the return of the 90s cult favorite logo – The Classic Man. 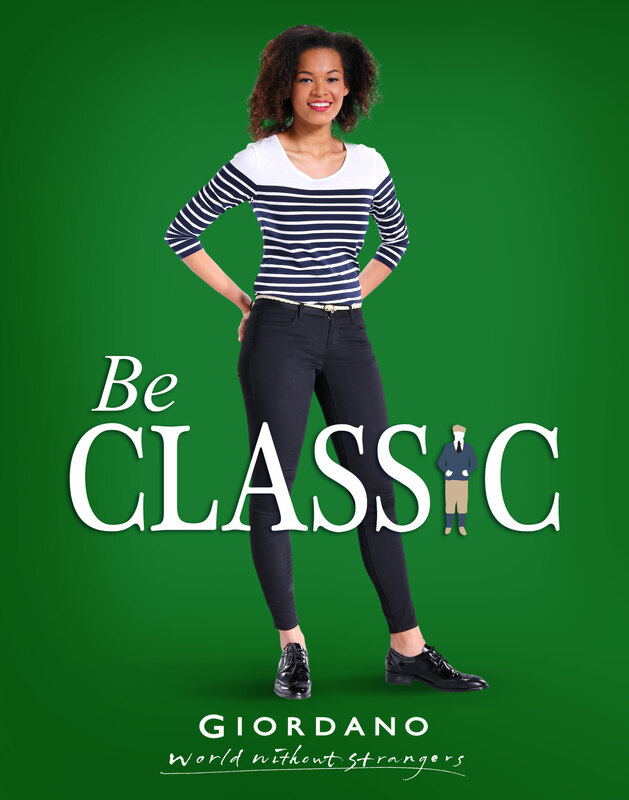 The Be Classic campaign features everyday wardrobe essentials such as polos, tees, shirts, cardigan and pants in classic silhouettes that flatter all body types. Basic polo shirts and crew neck tees, adorned with the iconic Classic Man logo, will help one transition from workplace to a late afternoon catch-up with friends over coffee. A business meeting can be conducted in casual cool with oxford shirts in a variety of colors and patterns. The transcendentally stylish Breton top also makes an appearance in this collection while trusty pairs of denims and khakis round out your classic wardrobe. 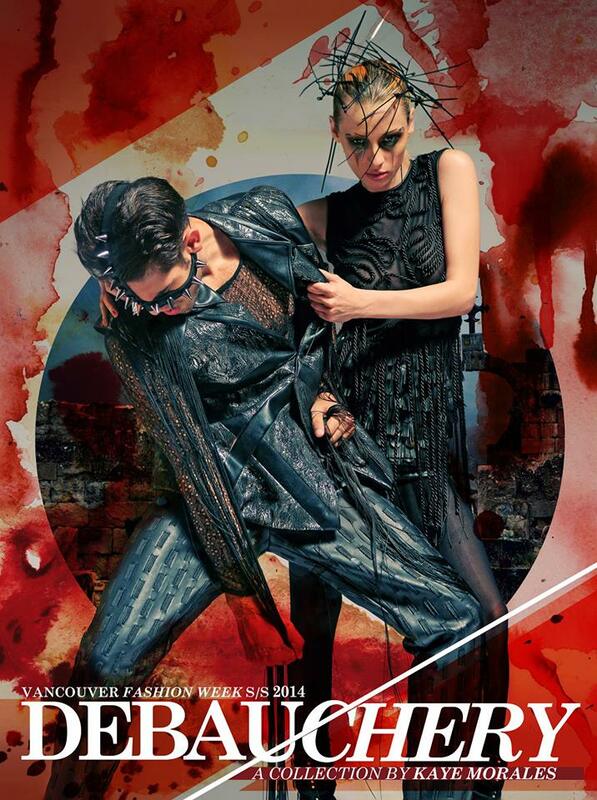 “Giordano is all about classic and everyday wearability. We understand the different needs of our customers and the different roles they play in life. We want to provide them with pieces that are not just functional but also of quality and infinitely classy. 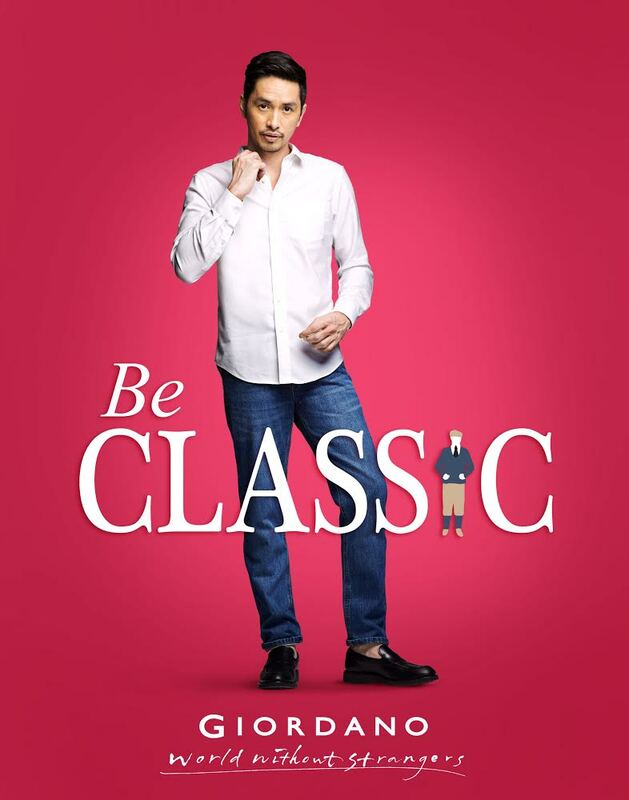 The Be Classic campaign is also a testament to our commitment to build a World Without Strangers,” said Reza Aznar, Giordano Philippines’ Assistant Product Development Manager. 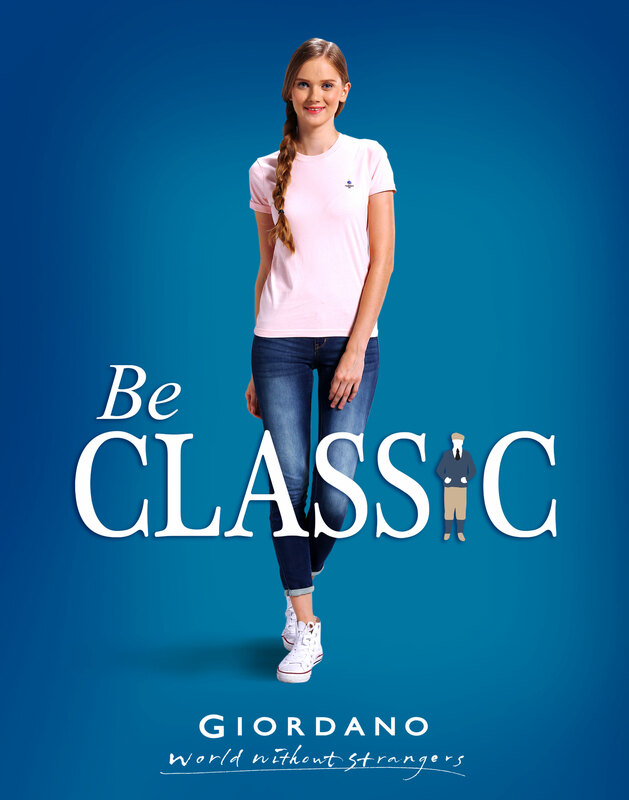 The Be Classic campaign comes in two phases: the first phase, Classics Minimalist, on November 13 to December 11, 2014 while the second phase – Classics in Color, on December 11 to January 15, 2015. For more information about the campaign, please visit www.facebook.com/GiordanoPhilippines. Eddie Bauer offers a full range of styles that eleveate the performance and compliment the casual wardrobe of an outdoor adventurer. From classic outerwear and the legendary down jackets to casual denim, polo shirts and khakis, Eddie Bauer is a go to brand stylish casual outdoor wear. You may visit Eddie Bauer at their newly opened store in SM Aura Premiere (2/L), Eddie Bauer SM Megamall (Mega Fashion Hall 3/L) , R.O.X. Bonifacio High Street, R.O.X. Ayala Cebu, R.O.X. Camp John Hay Baguio and R.O.X. Centrio Cagayan De Oro. 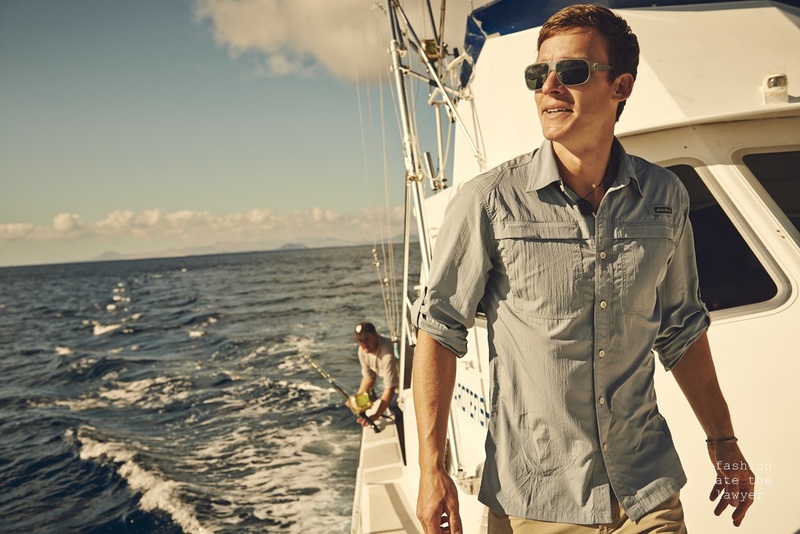 Live your adventure with Eddie Bauer. Summer is the ultimate season to bask in the summer heat. It is the perfect time to go on a rough road adventure and explore the world under the scorching summer sunshine. ‘Stay Cool. 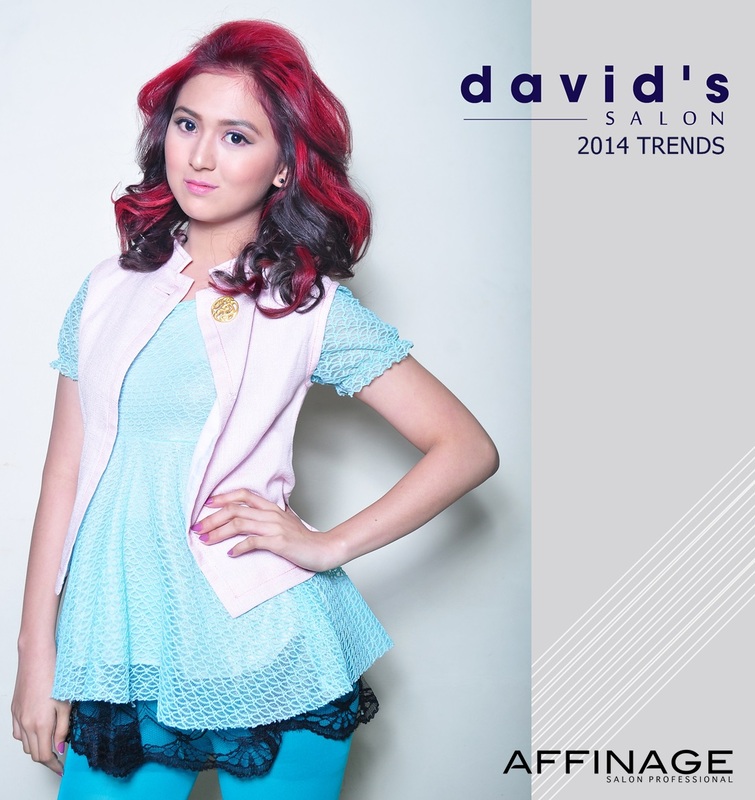 Keep Fresh.’ with Wrangler’s Keep Cool collection. 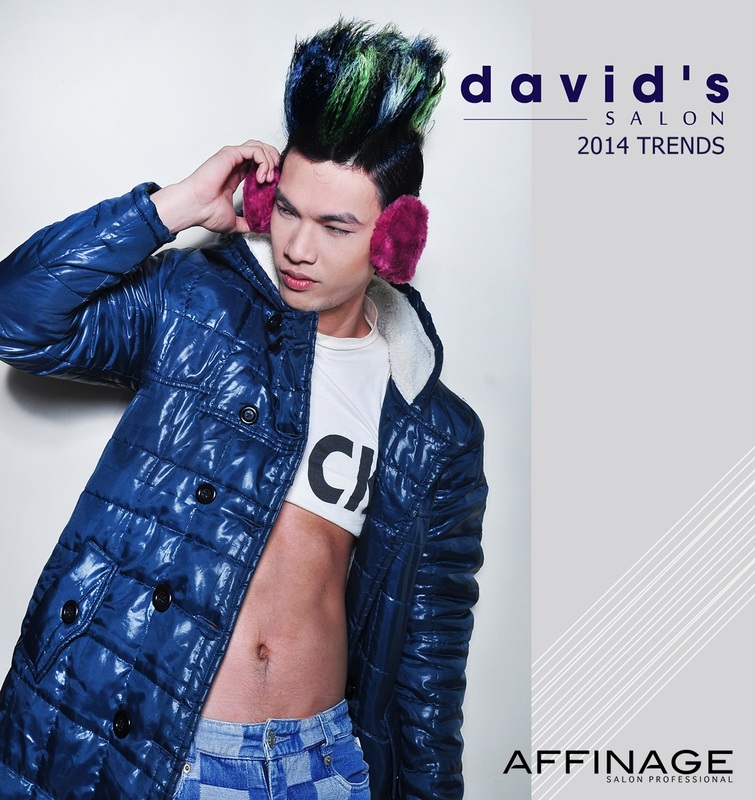 Men can stay comfortable with Wrangler Keep Cool collection without sacrificing style. The latest summer line from the leader in denim wear is equipped with two innovative technologies. The Cool Max fabric is the innovative heat management construction that allows for long and very comfortable wear. The fabric absorbs and spreads heat, pulling beads of perspiration away from the skin. Meanwhile, the Keep Cool Construction integrates clever mesh design at the inner yoke that will help keep you dry and cool. 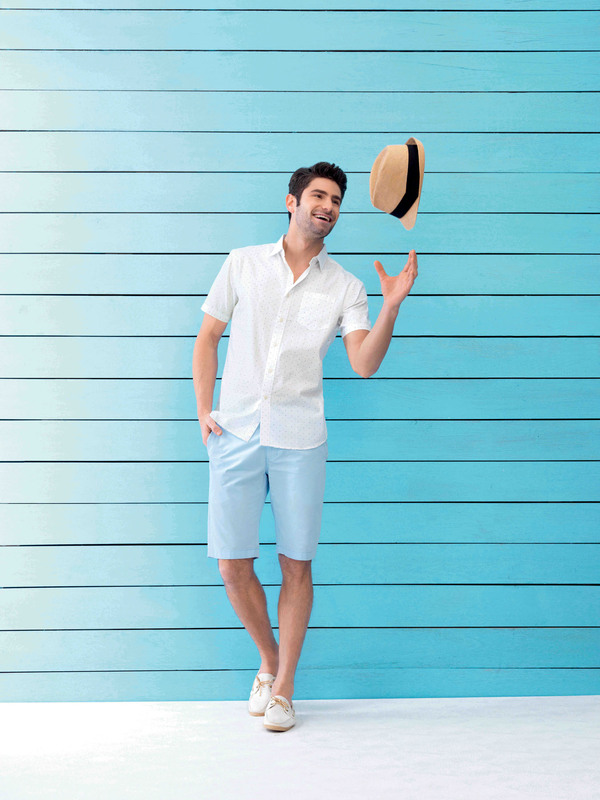 The Sun Caser collection’s Keep Cool line includes a variety of shorts, bright colored tops, all made with lightweight materials to ensure total comfort while staying fashionable during the summer. With Wrangler Keep Cool, you are guaranteed to stay looking and feeling cool, fun and fashionable even in the hottest season of the year. 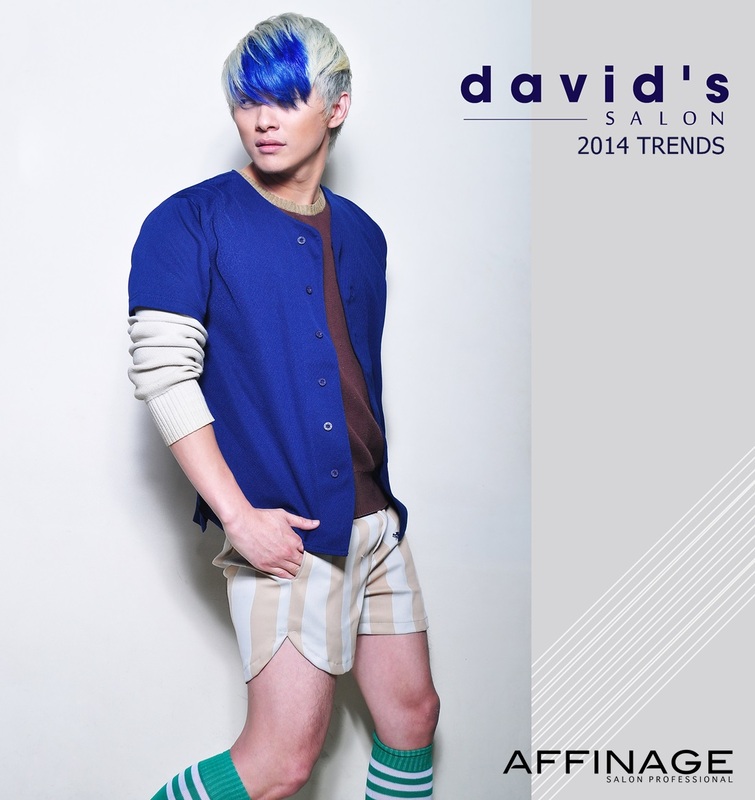 Short men’s layered cut with Silver and Pearl Blonde base with a combination of Blue AFFINAGE Grenade and Color Coordinates. Hot new length for the year is the collar bone length. Neither too short nor too long. Compliments most face shapes. 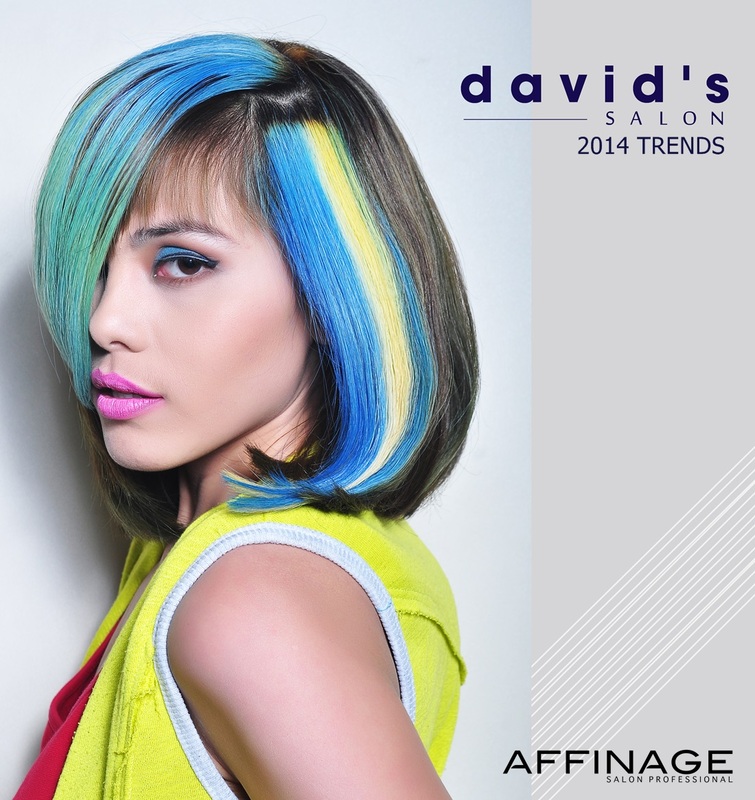 A base of matte ash blonde and triple color accent of turquoise, blue and yellow by AFFINGE Grenades and Intensives. Commercial Ladies’ cut with a red-violet base. 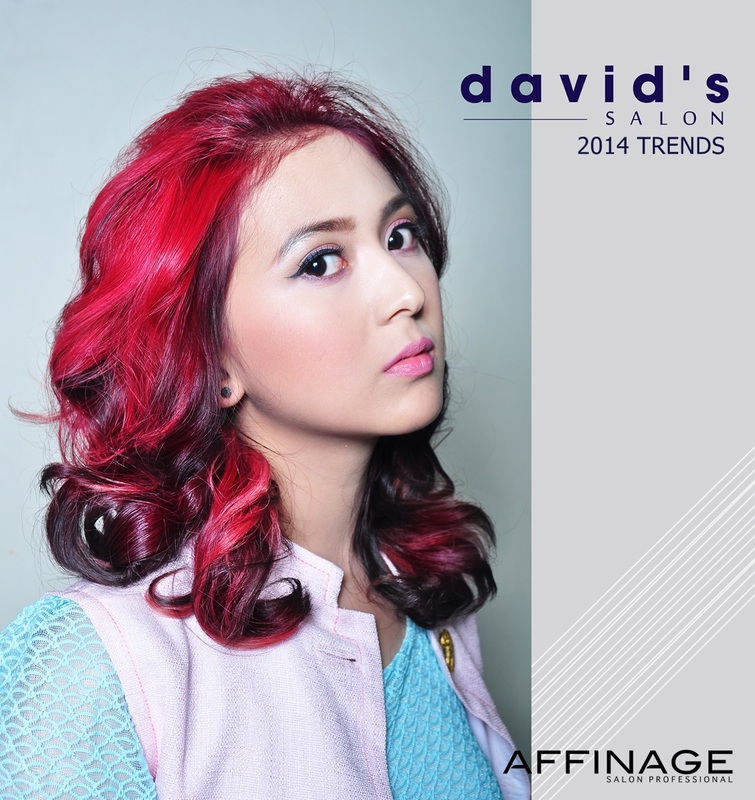 Accent of red, pink and peach-orange color by AFFINAGE Grenades. 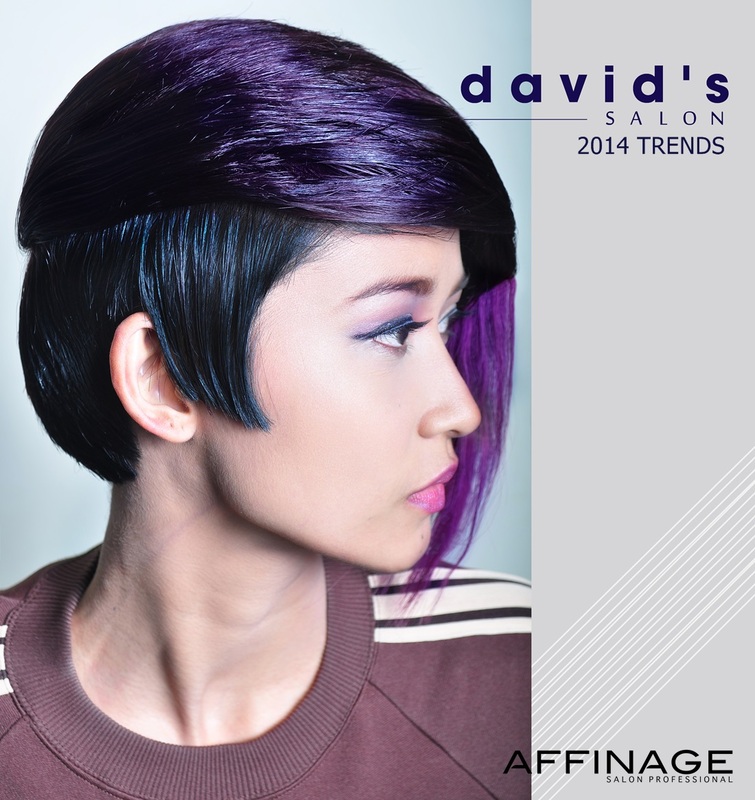 Short asymmetric haircut with a magenta base and deep violet color accent. Color panels pre-lightened to pale yellow and toned with 8.221. 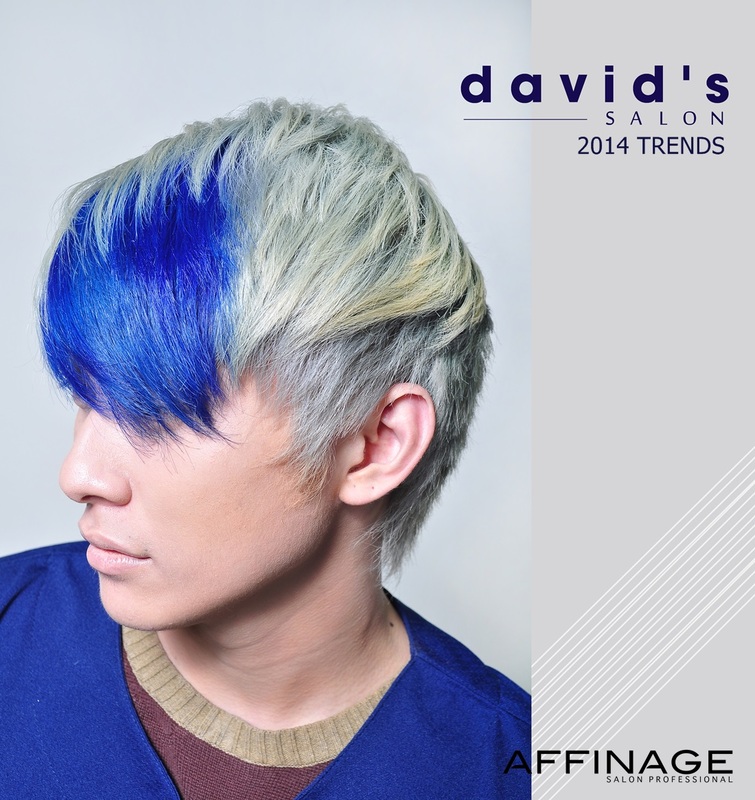 Long layered ombre with color framing. Platinum and Pearl blonde framing and chocolate brown base. Gold ‘Davids Salon Sparklers’ added for shine. Camouflage inspired. 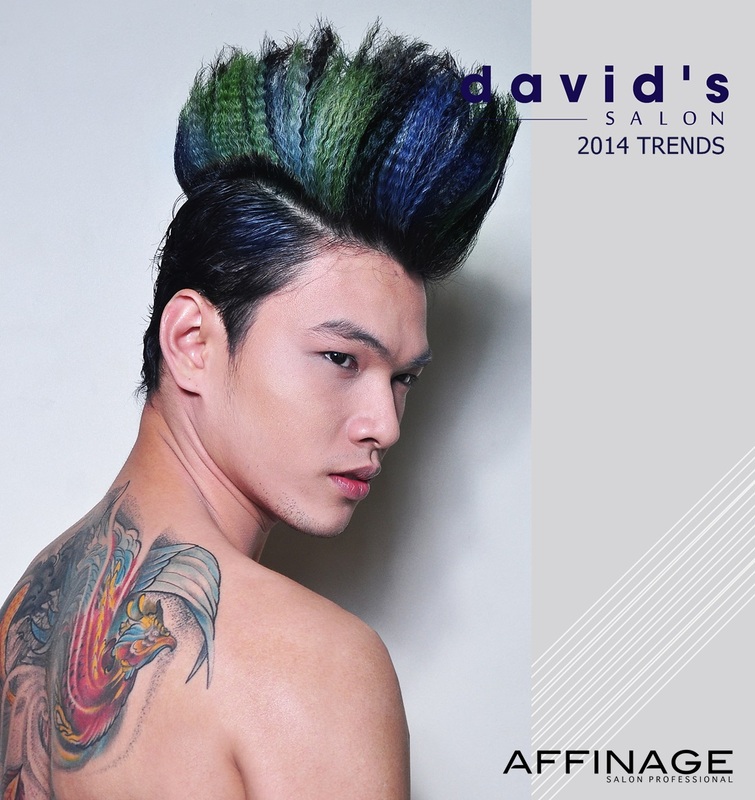 Closed cropped men’s cut with a black base, green, blue and gray accents. 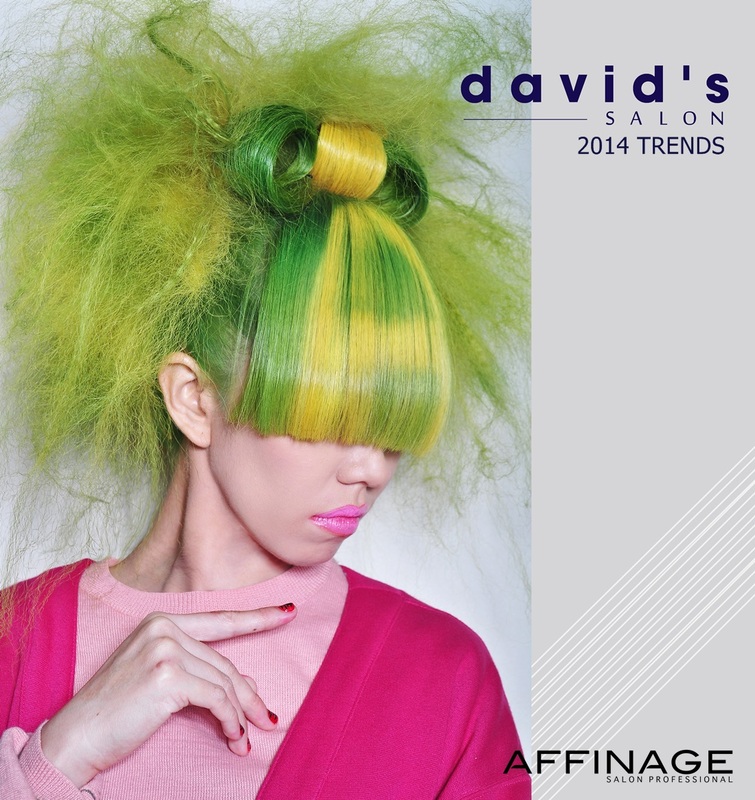 Runway look of pastel mint green with cascading yellow to green tips. 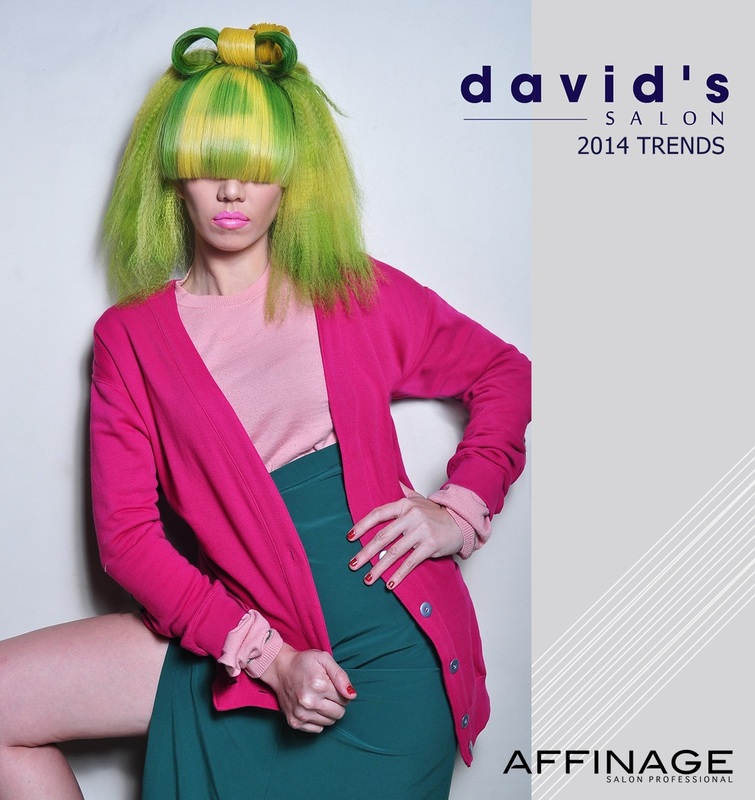 Hair is style with a combination of textures of straight and crimped ironed mid-lengths to ends. 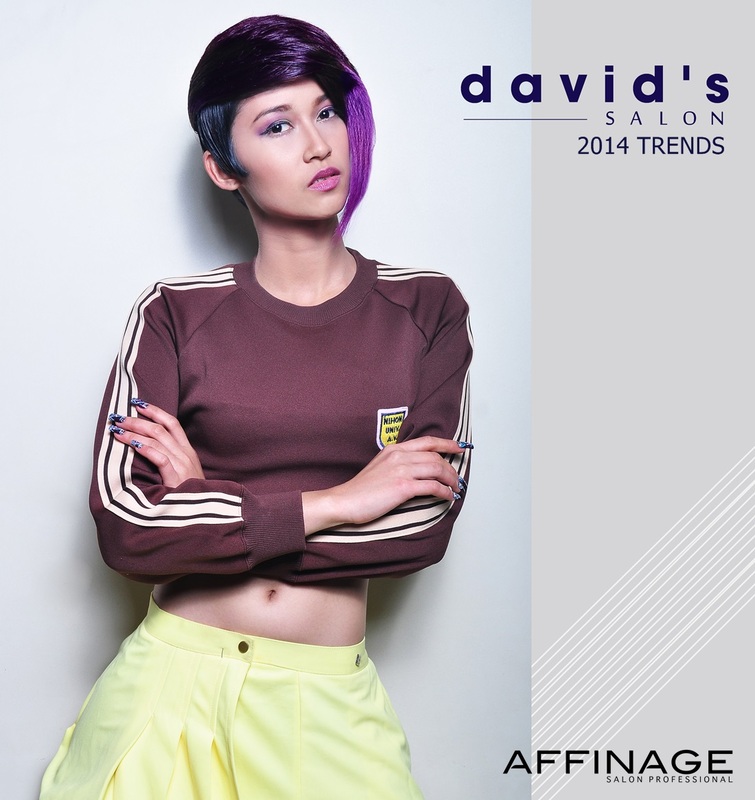 David’s Salon in collaboration with AFFINAGE Philippines presents the latest collection of their 2014 Hair Trends with the theme “SUPERHUMAN”. 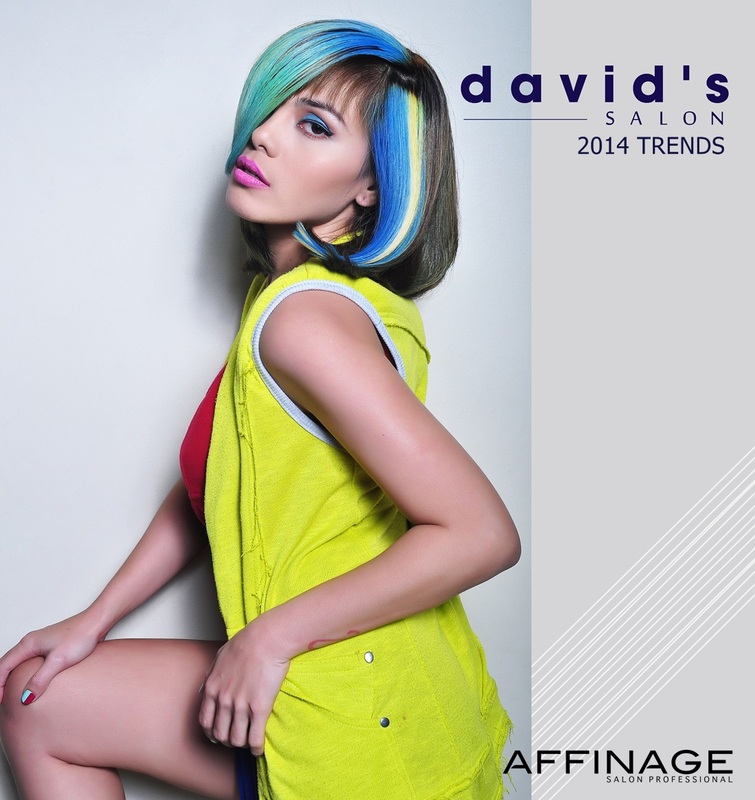 It’s all about the colors and attitudes, this year they bring you the confidence of wearing the loud-to-loud hair colors and accentuates in bolder hair cuts. Its the adventure and the thrill of being the center of attention, head turner superhumans. Photographed by Fashion and Hair Photographer Miguel Alomajan with Fashion Stylist Reginald “Jingx” Cruz , Illustrator Ehrran Montoya, and MJ Ordinario. 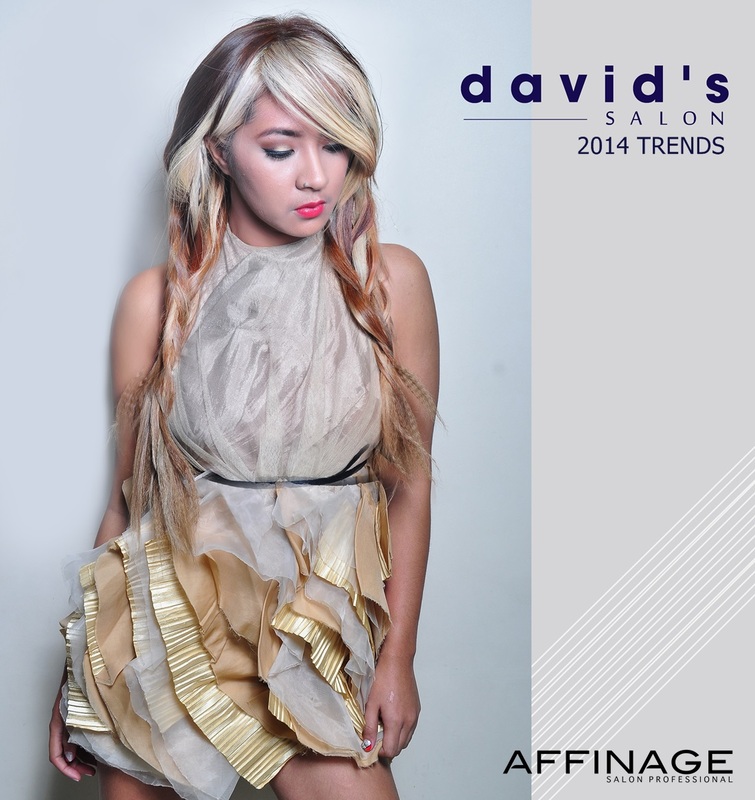 Hair by Mr. Nick Manalo and makeup by Abet Besitola. Special Thanks Mr. Oliver Samaniego and Joshua Webb. Models Jc A Aquino, Rizza Gonzalez, Mhaj Jaca, Gomer C Ruñez, Kriz Mejia, Joana and Franzel. F.M. 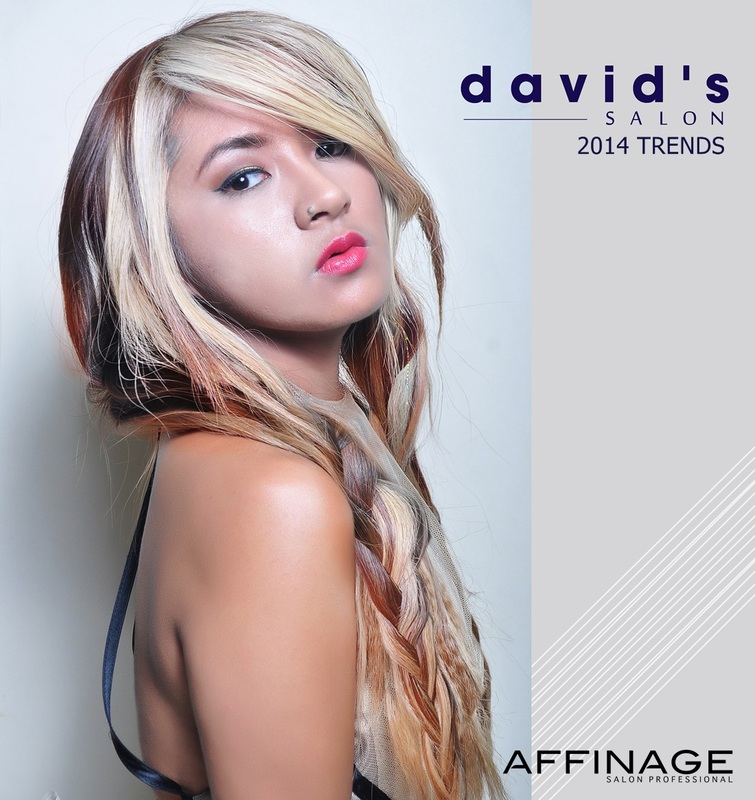 : Fatima Rabago at Mercator Artist and Model Management, Inc.